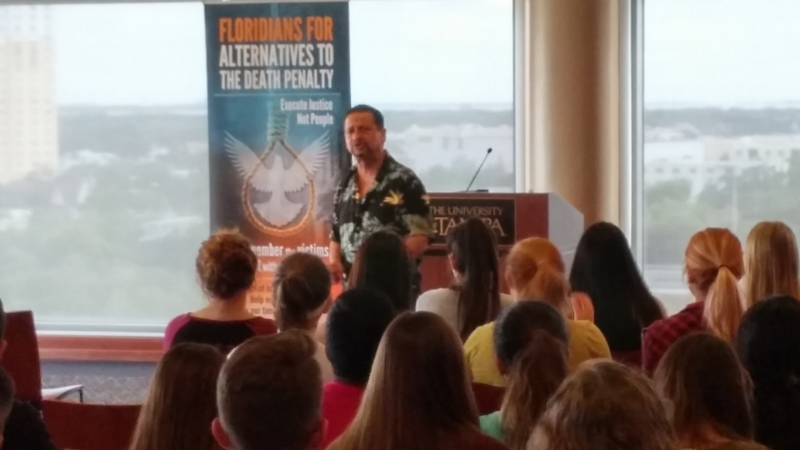 On Thursday, April 13th, Juan Melendez spoke to UT’s Honors Students. Juan Melendez was wrongfully convicted of murder in Florida and spent over 17 years on death row before he was exonerated. In his talk, he detailed how he was wrongfully convicted, what his life was like in prison, and how he was finally exonerated. His talk detailed how flaws in the justice system and those who work for the justice system can lead to potentially deadly consequences for innocent people.